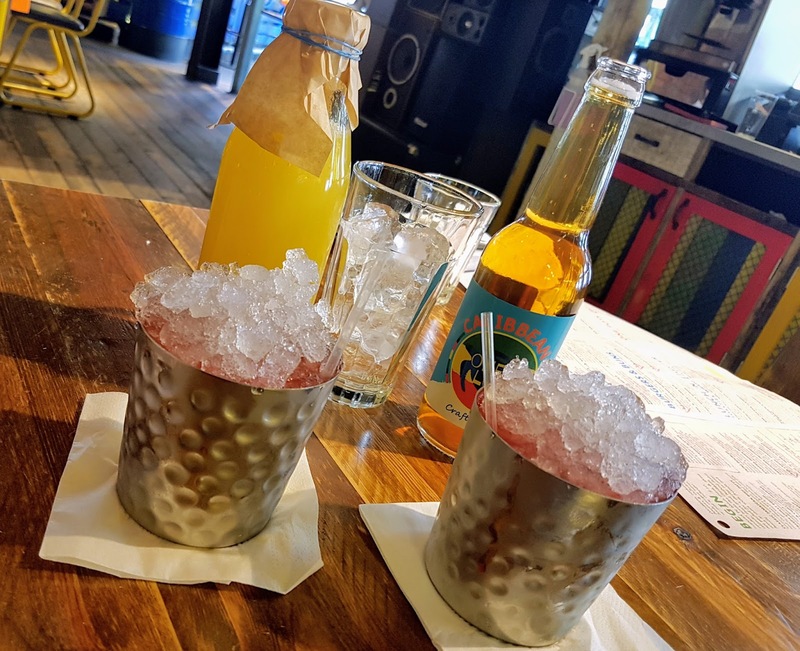 When I think of food (which is actually an every few second occurrence for me) and the food that I love, my current favourite place to enjoy eating out and the place which springs to mind first simply has to be Turtle Bay. I last wrote in February 2016 about the chilled out, relaxed vibes of the Turtle Bay Leeds venue after loving my very first experience there and this post today is a little ode to my more recent second experience, this time spent at the equally fabulous Huddersfield venue. 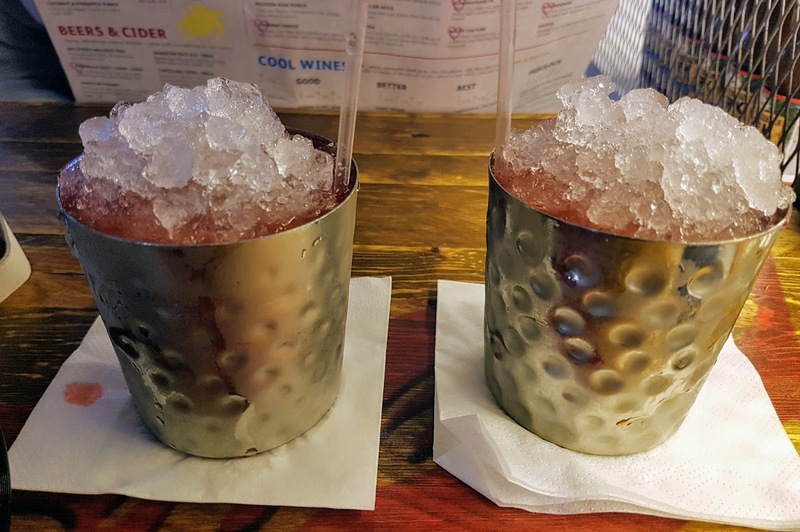 Not a huge rum drinker myself - actually I'm not a huge alcohol drinker at all anymore if I'm honest - I have to say the new menu's Roots Culture was absolutely amazing. I mean yes it was strong and yes I'm sure I could still taste that Uncle Wray overproof rum for weeks afterwards but oh yes, it was fantastic - really refreshing and fruity thanks to the added strawberry and raspberry liquer, the fresh lime and refreshing lemonade...although at 1pm on a Sunday afternoon I did only manage to get through the one cup full. I think knocking back both (on the two for one deal) would have been a tad too ambitious for me. And the boys with me - one being 34 the other 11 - picked out a Caribbean beer and a home-made, refreshing Pineappleade, both of which were enjoyed thoroughly. And then it was food time. 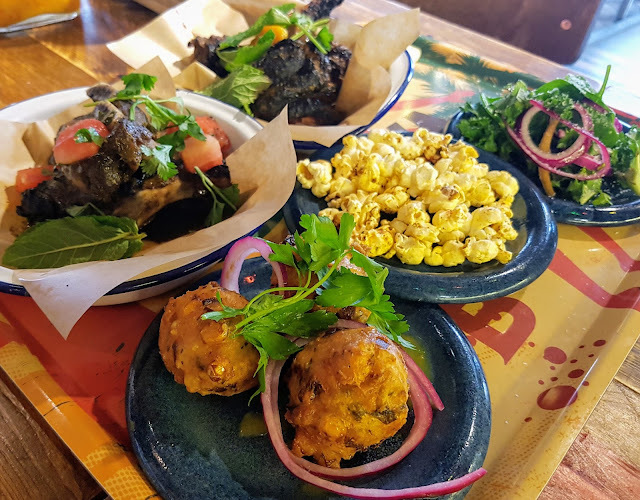 There were jerk marinated wings, pork ribs, jerk beef riblets, a Jamaican beef patty, sweetcorn fritters, spiced popcorn, all served with a herb mayo and a yummy salad and everything was perfection. I was particularly fond of the patty and the sweetcorn fritters...but then again the popcorn was fabulous and really different too. 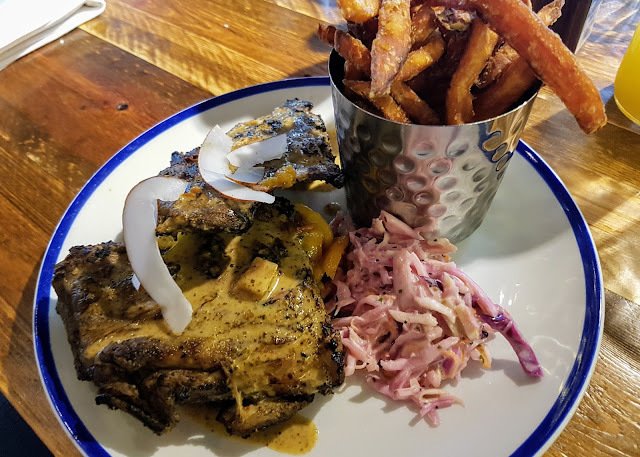 And then eating that Jerk chicken took my right back to the days when my Grandparents would have huge summer BBQ parties with my Grandad cooking the meat to perfection. Actually it was all amazing and nothing was left untouched let me tell you. 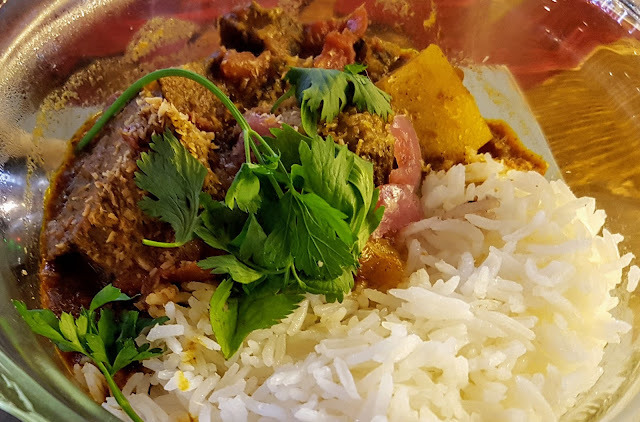 Next it was onto the mains - myself and the Hubby opted for the Bajan Beef Cheeks - a new addition to the One Pot menu - and I just need to know how on earth does meat become so tender and soft?! It was divine - the Caribbean spices were spot on - and the accompaniments of okra, potato, steamed rice and roti flatbread made for a really filling, hearty, stunning dish. Later that evening and as stuffed as he was, my Hubby even said that he could have quite easily managed another pot - it really was that delicious and flavoursome. Now my son, being very "I'm too big to even consider the kids menu anymore" picked out the Slow Braised Beef Ribs and the portion was huge. And then to finish, not wanting to overdo ourselves on all the amazing food but equally keen to sample as many offerings from the new menu as possible, we ordered one dish of Passion Pie with three spoons. 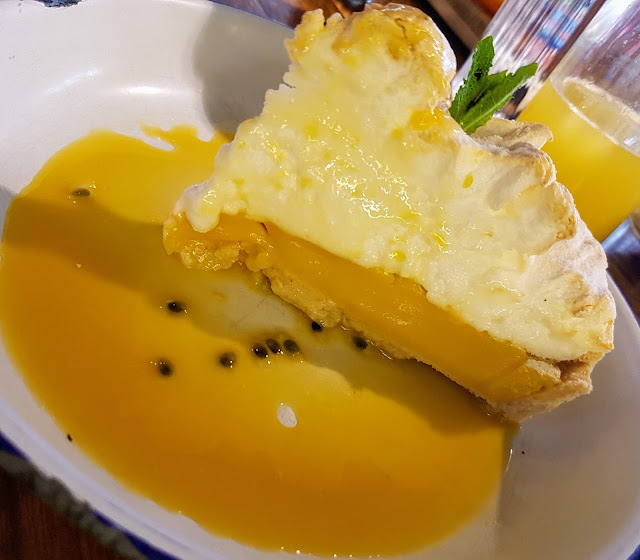 The passion fruit curd which topped the sweet pastry had just the right level of zing to it and the soft baked meringue on top was so light - it was lovely. So refreshing and really rather delicate in taste too - the perfect way to end such a lovely meal. Turtle Bay can do no wrong in my eyes. 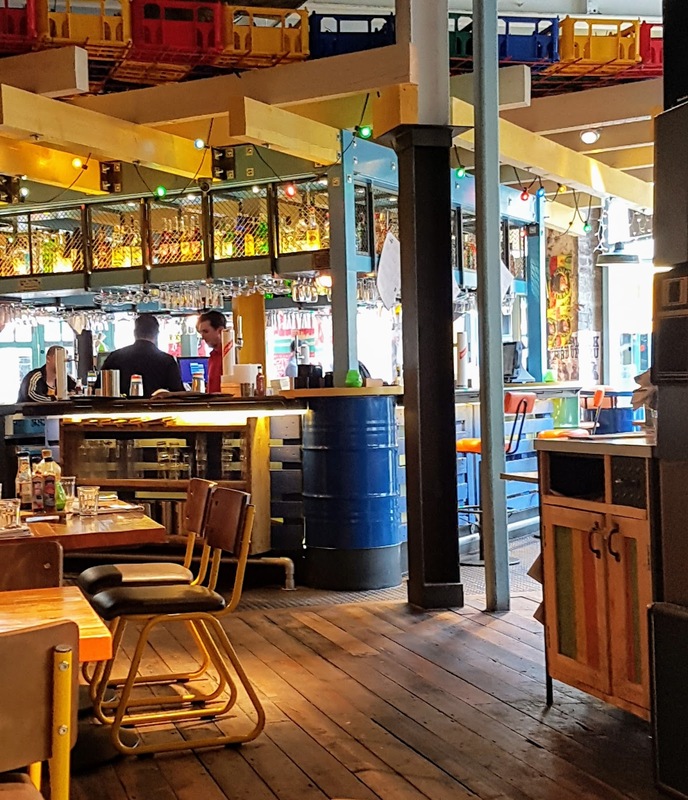 And, very obvious from this post I know, myself and my family are very much meat eaters but what I did like is that the new menu at Turtle Bay now has more dishes catering for people following a vegetarian or a vegan diet. It's fantastic and I'm sure it will boost the restaurants popularity even more - if that is even possible. I for one am a huge fan of everything they offer and I genuinely can not wait until I can get back to a Turtle Bay again. 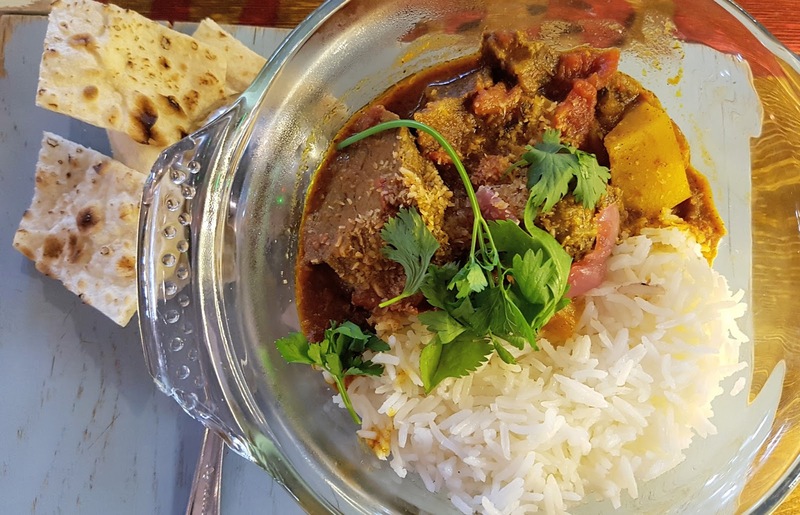 Oh and I just want to add, whilst this visit was on a review basis it wasn't actually myself who was asked to review yet as I simply loved the food, loved the place and loved the welcoming staff so much I really wanted to let as many people as possible know about the fab new menu changes. 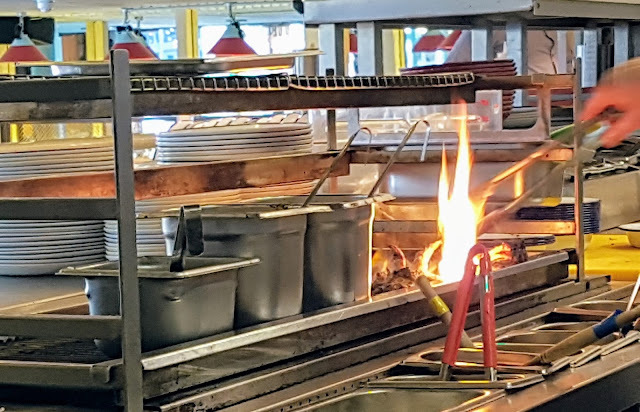 Mmmmmmm this all looks AMAZING! Plus now that t'fella is Vegan its good to know we can go somewhere that'd suit both of us! 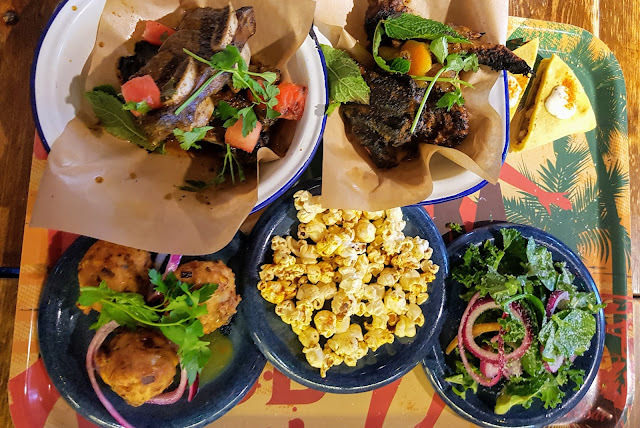 I've never been to a turtle bay but these photos are giving me food envy! !